In Sochi at Olympic Village! Arrived in Sochi yesterday. Beautiful day today in the village with mountains right behind us. At the men’s practice this afternoon. 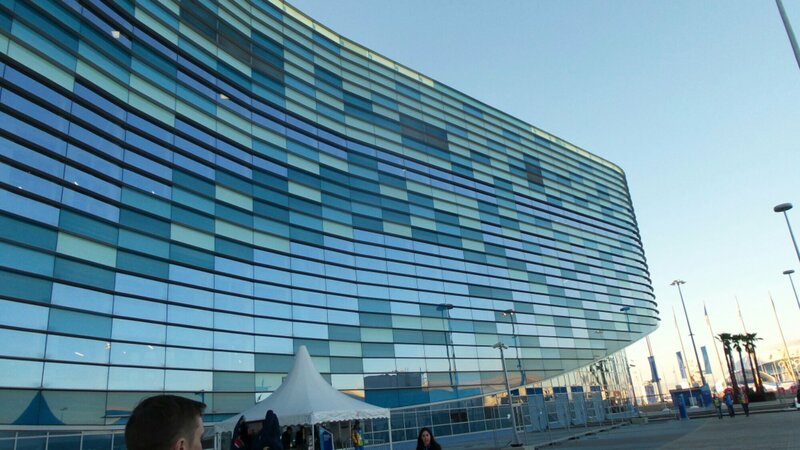 This is the Iceberg where figure skating and short track speed skating will be (I’m inside right now). 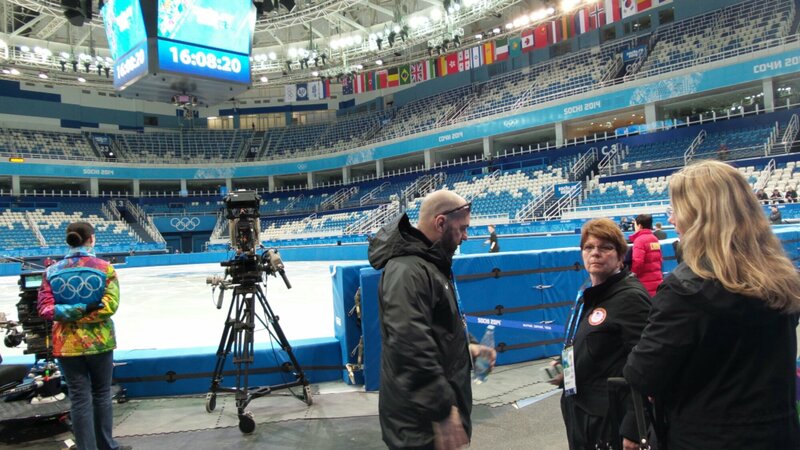 Love seeing the behind-the-scene-photos in Sochi! Keep them coming! So proud of you! Good luck to you and the figure skaters! I’ll be watching on TV.